Our pets are our best friends. If you’re lucky enough to have a furry fluff ball running around your home, it is paramount that you know how to take care of them. This includes knowing how to treat pest control differently in the home of a pet. We’ve put together 5 key guidelines that you need to stick to in order to keep your pets safe from pests this season. Pest control substances often look like pet toys or food. As well as this, grain-based rodent bait is particularly harmful to pets because it works as an anticoagulant. This kills the rat by thinning their blood, leading to internal bleeding. All mammals, small and large, are affected in the same way, and smaller cats and dogs are particularly vulnerable. To avoid any nasty accidents, make sure you keep your rat or pest poison in a concealed cupboard that pets won’t be able to find. 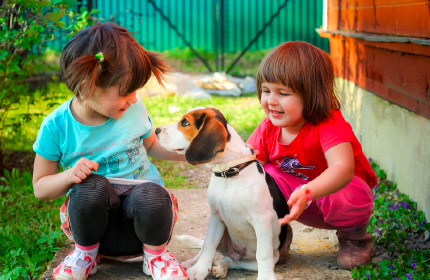 Of course, most pets love to run around outdoors and explore to their hearts content in your backyard. However, a poorly kempt backyard can make for the perfect nest for many types of pests. Don't turn your backyard into a breeding ground! To avoid any infestations, make sure you keep leaves, lawn trimmings and rubbish cleaned up or in sealed bags away from pets. 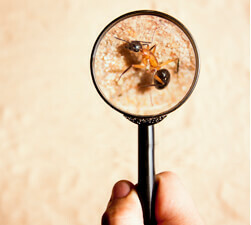 The reason pests love to infest human homes is because they are a source of food for them. With leftovers, rubbish and gardening trimmings, just to name a few, pests have a smorgasbord of food available to them. That is, if you don’t clean up leftovers and seal packets. This goes for pet food, as well. Make sure you regularly check and seal up any pet food, to avoid pests contaminating your fluffy one’s food source. As much as it’s important to keep your pets away from harmful pest bait, it’s also as much about keeping them away from dead pests! If your pet consumes a pest, whether it be a rodent, insect or otherwise, who has been ingesting the toxic bait, your pet will be in serious danger. Moreover, pests such as mice and rats often carry harmful diseases that are fatal for the household pet. Make sure that you place bait in the right place, far away from children and pets, and remember to check on the area regularly to see if any pests have been caught. Sometimes, however, pest bait just won’t cut it. There are times when you need to call in the professionals. At Dawson’s, we can advise you on what steps need to be taken to ensure your pet’s safety throughout the extermination process. Usually, pets will need to be kept away from the house being treated for a specific amount of time. If you think you may have a pest problem, or need some advice on what to do with your pets regarding pests, don’t risk it, and call in the pest professionals today on (03) 9222 2266. Keeping your pets safe this season is as easy as keeping your outdoor area clean and tidy, checking on pest-prone areas and making sure that your pets can’t get into any nasty substances. Stick to these 5 handy tips to make sure your furry best friend is kept safe and sound.